Your child will adore their FLEXI WOODEN UNICORN AND DRAGON. Their wings move up and down, they can sit, stand and fly around in an imaginary world. What a cute little wooden toy that’s just the right size to put in a pocket or bag. 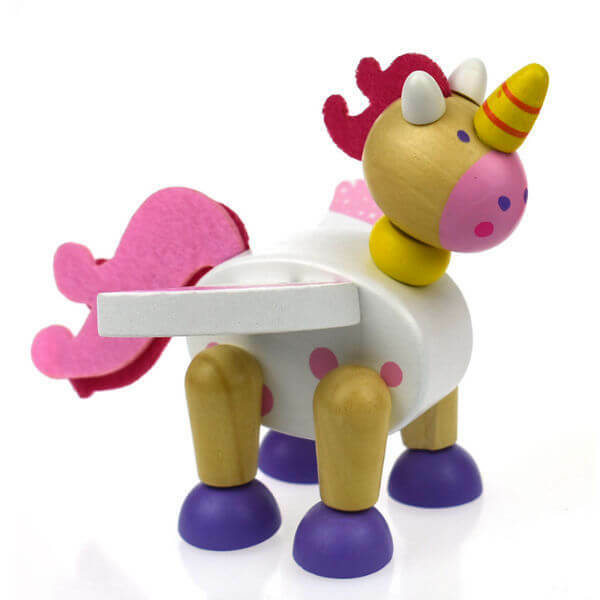 These gorgeous little FLEXI WOODEN UNICORN AND DRAGON toys are super cute. Kaper Kidz have been part of the Australian toy industry for over 20 years. All of their products are made from regulated timber, are finished in non toxic paint and conform to Australian Toy Standards. 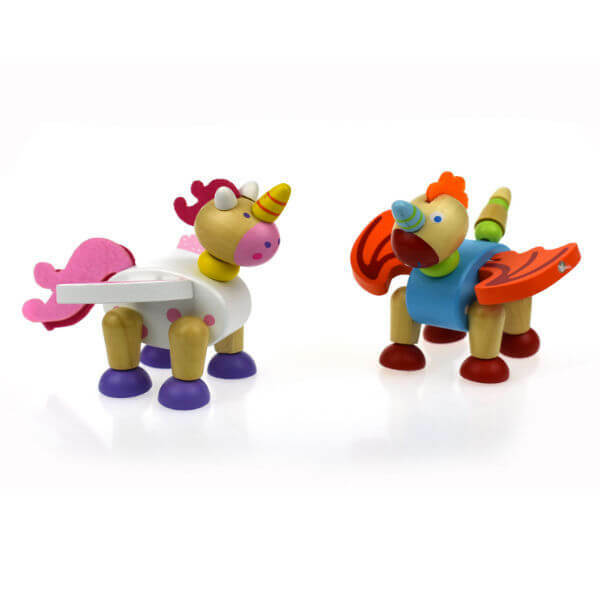 The FLEXI WOODEN UNICORN AND DRAGON can move their wings up and down. They are poseable, can sit, or lay down. I wonder if they can really fly? They are the perfect size for your little one.